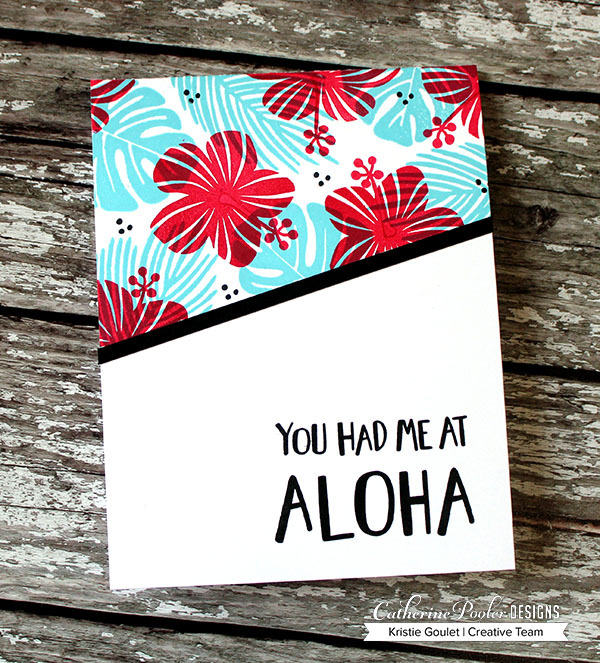 Kreative Kristie: You had me at ALOHA! You had me at ALOHA! Hi everyone! I'm popping in here today with another card using the new Stamp of Approval Tropically Yours Collection. Have you grabbed yours?! You have some time before they sell out so grab one HERE!!! I found an image on Pinterest the other day and just had to create a card using the image as my inspiration. I started by stamping some of the leaves from Leave me in Paradise in Fiesta Blue. I then stamped the Hibiscus using Rockin' Red ink. I love that you can see through the flowers to the leaves. I then stamped the dots onto the background to fill in. The sentiment was stamped using Midnight ink. I really want to create this card using gray leaves and bright pink or coral flowers. How pretty would that look?! 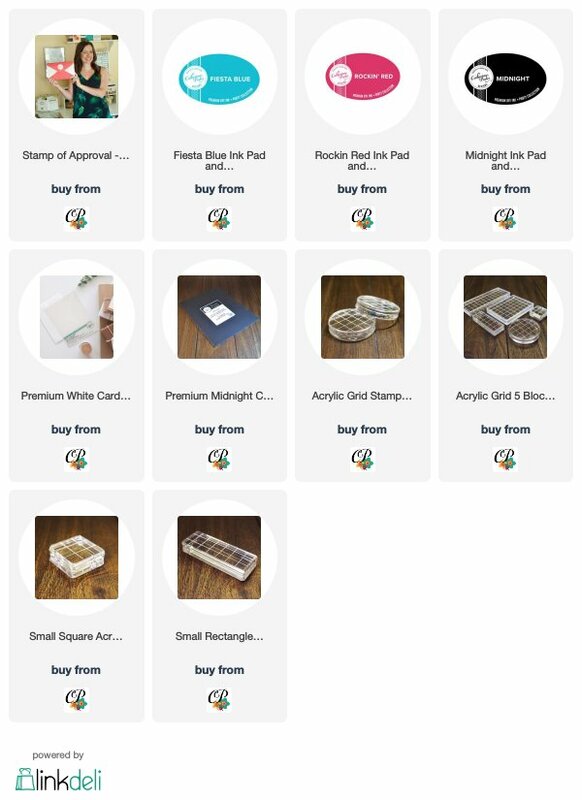 A list of supplies I used can be found below, just click on the picture below to be taken to where you can get the product. I do use some affiliate links when I can, this means I will get a small commission if you choose to purchase the product using my link-this is at no cost to you and helps with the running of my blog. I really appreciate your love and support! What a striking card Kristie! SOA TROPICALLY YOURS AVAILABLE NOW!!! 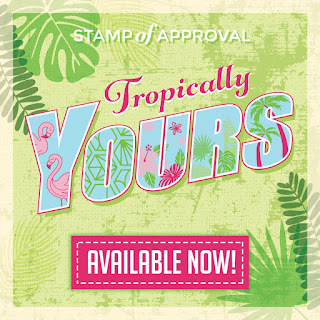 TROPICALLY YOURS STAMP OF APPROVAL - DAY 2!! 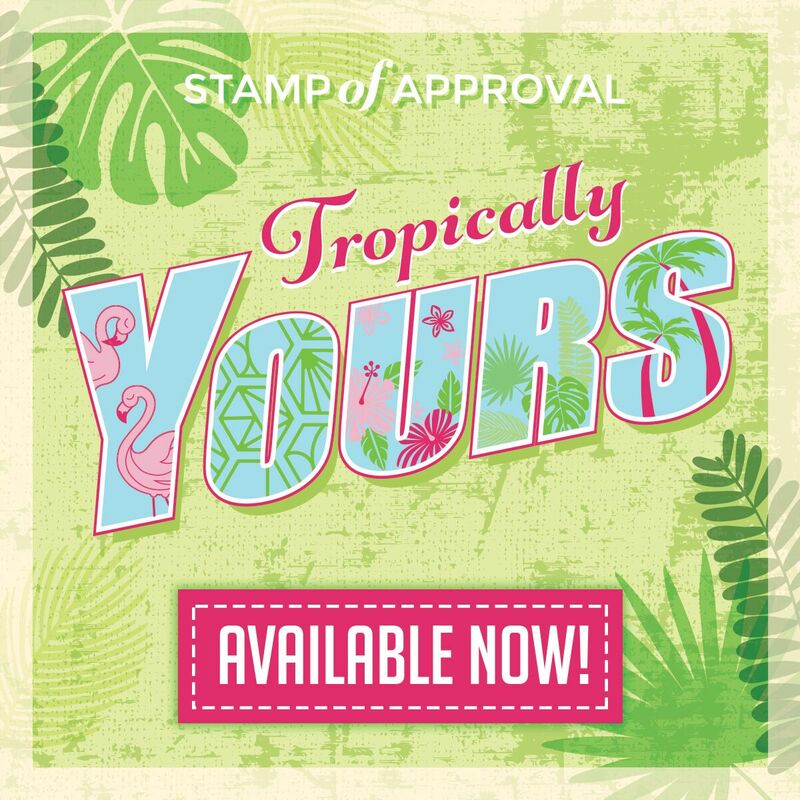 TROPICALLY YOURS STAMP OF APPROVAL - DAY 1!! !